Yahoo Travel's Top 10 Most Searched Beaches in the US! Everyone loves a beach vacation. 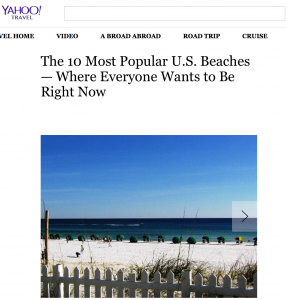 Yahoo Travel recently posted their top 10 most searched beaches in the US, and Destin, Florida made #1! Contact Somers & Company for your Scenic 30A and Destin, Florida Real Estate listing and selling needs.